The deputy's car has heavy front-end damage. 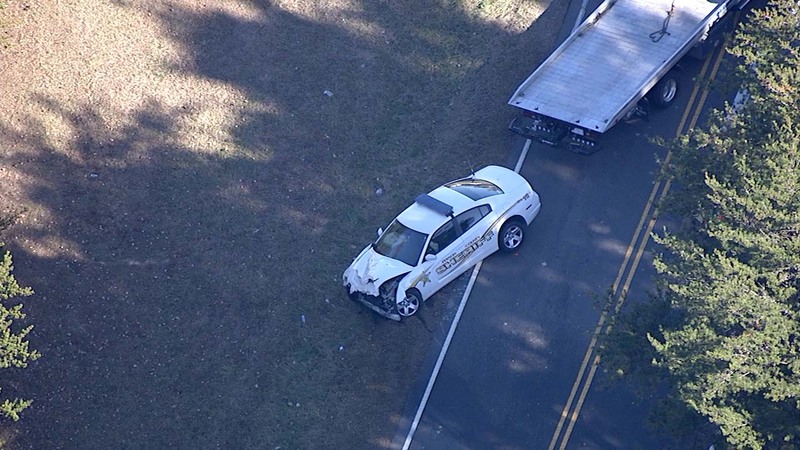 ROXBORO, North Carolina (WTVD) -- A Person County Sheriff's Office deputy was involved in a crash southeast of Roxboro Monday. It happened just after 10 a.m. in the area of Oxford Road and Reuben Allen Road. Pictures from Chopper 11 showed the deputy's car with heavy front-end damage and a small SUV off on the side of the road - also with heavy damage. A small SUV was involved. The sheriff's office said the deputy was on his was to another crash with his lights and siren on when it happened. The deputy is being treated at the hospital. There's no word yet on the condition of the other driver.